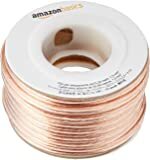 Sold by WORLD WIDE STEREO and Fulfilled by Amazon in easy-to-open packaging. Gift-wrap available. 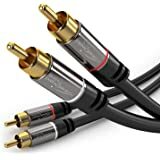 Amazon's Choice for "headphone dac"
Sold by WORLD WIDE STEREO and ships from Amazon Fulfillment. Sold by Audio Advice Online and ships from Amazon Fulfillment. 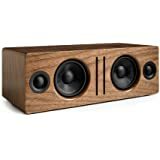 AUDIOENGINE IS AN INDEPENDENT SPEAKER COMPANY BASED IN AUSTIN, TX. 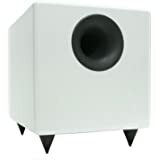 In 2005 Audioengine was founded with a simple goal: Build a speaker that sounds great, is easy to set up and use, and that makes people want to listen to music every day. 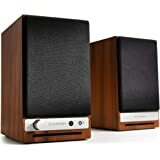 Audioengine’s core products are powered speakers; all-in-one music systems which allow you to connect all your devices wirelessly (or wired) for great stereo sound. 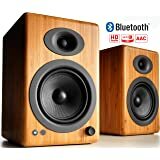 They started with just one powered speaker, the A5; simple and beautiful, yet versatile enough to be used in your workspace as computer speakers, on stands in your living room, or in a home theater setup. But the Audioengine team wanted to offer even more for their customers. 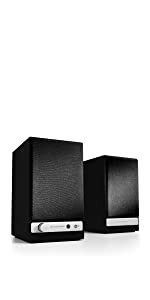 After years of hard work, the versatility of their products was pushed even further by offering a number of add-on audio products that can be used with existing music systems. Their passion is to help people hear all their favorite songs as they were meant to be heard and to discover new music and appreciate it with the highest sound quality. And they’re doing exactly what they had planned, which is to change the way people listen to music. 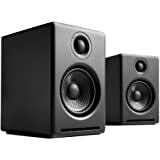 Audioengine is now proud to offer a complete line of products that bring the sound quality of professional studio monitors right into your living room, without the inconvenience of multi-device stereo receivers or big clunky passive speakers. 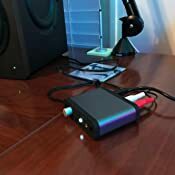 Perfect for providing high quality audio to speakers or headphones, the D1 is a premium 24-bit DAC and headphone amplifier for your computer, TV, and more. 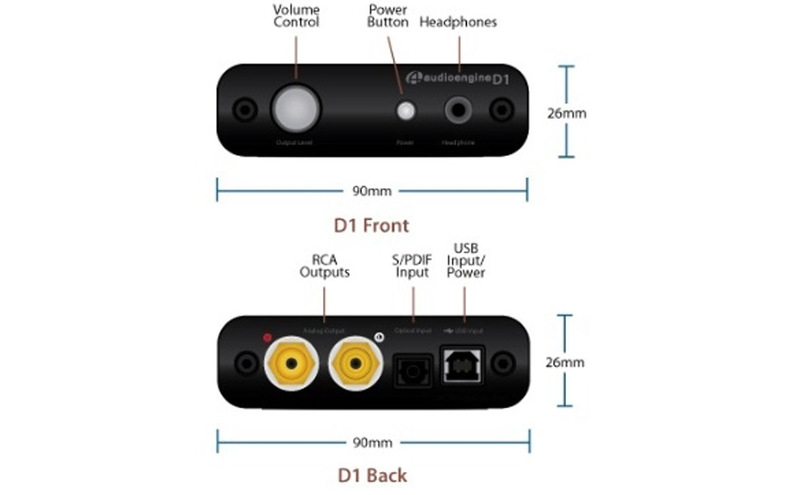 The D1 connects to your computer’s USB port or optical output without any software to download, making the D1 quick and easy to set up. 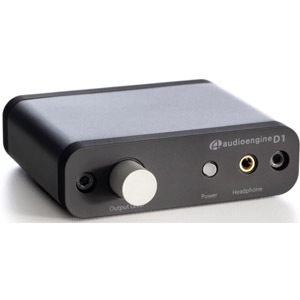 Audioengine D1 Premium 24-bit DAC (digital-to-analog converter) allows you to bypass your computer’s soundcard or headphone output and send audio through USB or optical. D1 will process digital audio at any bit depth up to 24 bits and any sample rate to 192kHz. With it’s high signal-to-noise ratio and low distortion, the D1 delivers sound quality generally heard only in more expensive DACs. The high-performance headphone output was designed for a wide range of headphones and will satisfy even the most demanding headphone enthusiasts. D1 is the perfect digital interface between your computer and music system and will improve the sound of ALL your music. 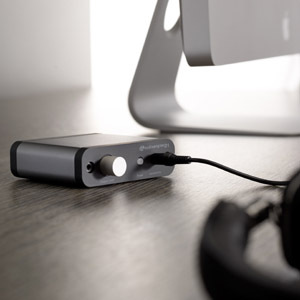 The D1 accepts inputs from both USB and optical and has outputs for any audio system or headphones. 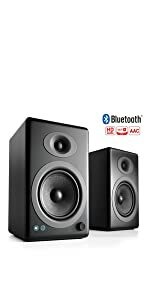 The D1 DAC is the perfect way to get great-sounding music not only from your computer but from your TV, Apple TV, Blu-ray player or CD player. DirecTV and Comcast also have optical outputs for high-res audio. 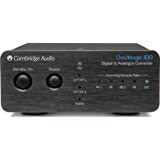 Setup is easy and no special software, app, or driver is needed, making D1 a true plug-and-play digital audio solution. YOUR MUSIC WILL SOUND BETTER. 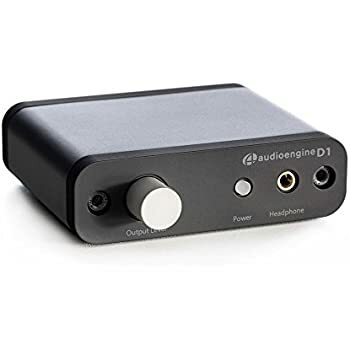 The D1 reflects traditional Audioengine design and the audio fidelity is typical of Audioengine’s commitment to great sound..
5.0 out of 5 starsGreat sounding but one very annoying problem (now solved). I have increased my rating to 5 stars. 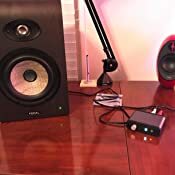 I solved the problem of the burst of digital noise by connecting the D1 to a different USB port. 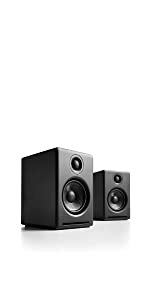 I really want to give this 5-stars because they transformed the sound I get from my computer. 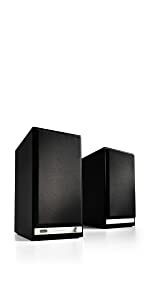 My AudioEngine A2 speakers at last live up to expectations and my Sony MDR-V6 headphones also sound great. I used a cheapo USB DAC previous to this one but the sound was very poor.. 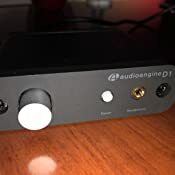 The problem with the AudioEngine D1 is that every once in a while it spews forth a burst of digital noise at full volume (regardless of volume setting) that frankly will scare the crap out of you the first few times it happens. The cheapo DAC never did this! 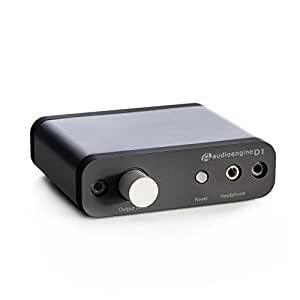 For a DAC at this price and that is supposed to be audiophile-grade, this is really is not acceptable. But it sounds very very good! So I will go with 4 stars. I am about to order 3 of these, why? There’s all kinds of things you can say about price and what you expect... blah blah. I am actually a professional in the A/V industry... so I can speak with just a tiny bit of experience. The 1 star reviews I’ve read here seem... meh. If you’ve got a taxed computer, old, loaded with things... lots of stuff going on. Maybe you’ve visited to many NO-NO websites..? 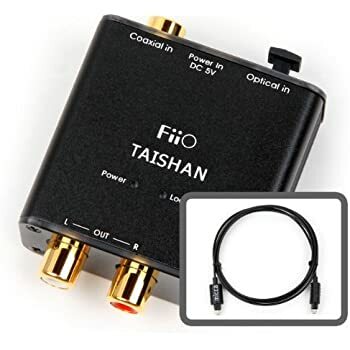 I can tell you that I’ve used these in several installs that are demanding, they get used every day with sweaty fingers and people that know nothing about electronics. 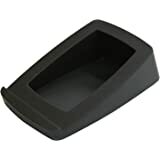 Here’s the rub, they are used on laptops that don’t surf the Internet, don’t look at questionable web pages, they don’t run printers... have thumb drives or anything else. These laptops have a network connection, ITunes and a NAS, that’s it. Any problems have been environmental and easily fixed. By environment I mean, cables getting unplugged, mute buttons getting hit or the DAC getting shut off on accident. 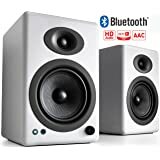 It’s a solid device with a small foot print, the volume knob is smooth and works very well. First, touchy volume knob... dude. After that you’ve got the volume on your amplifier. I don’t know what equipment your running, I can’t guess if your volume on your amp is acting like a gain or it’s attenuating. 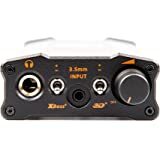 Is it adjusting the amplifer inputs or outputs.. If you’re gonna write a one star review to be helpful, list the equipment you’re using. 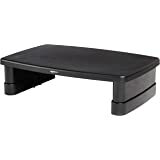 This device works great, for the money it’s awesome for what I am using it for. Read all of the 5 star and 4 star reviews, if you have a questionable computer... you might have a questionable outcome. This DAC is built to be robust, still you can’t blame the stereo in your car because your transmission failed. 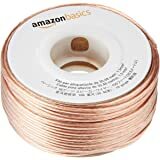 I’ve used these on mainly MacBooks and a few PC’s, all without issue. They’ve heald up and done their job. I had not been paying much attention to USB DAC in the past couple of yrs. I built a new desktop and had planned to use a Claro halo PCI card. However even though I did get a H170 MB with a PCI slot (dinosaur) due to the size of my graphic card there was no way to use the PCI slot. Checking my options I started looking at USB DAC, the price has dropped and thats why I hadn't been paying much attention. On the other hand the price of PCI good sound cards are ridiculous. I can compare this to my ASUS Xonar ESSENCE ST - PCI card which I have used for years on another desktop. 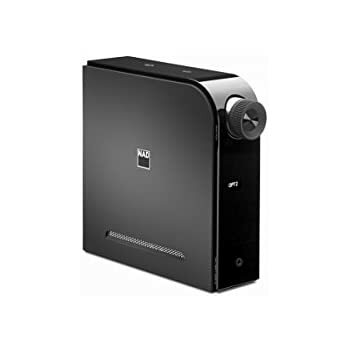 That is a great card and I've really enjoyed it for analog from the desktop to a stand alone amp with 2 full stereo speakers. That card is also going for 250 -280 bills today, wow for a PCI bus slot! The downside to the ASUS Xonar Essence was constant snafus with the drivers, ASUS sucked at drivers for any of the soundcards I used the unified drivers. 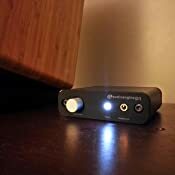 Its still a awesome soundcard as is the $$$ Clarooo Halo. 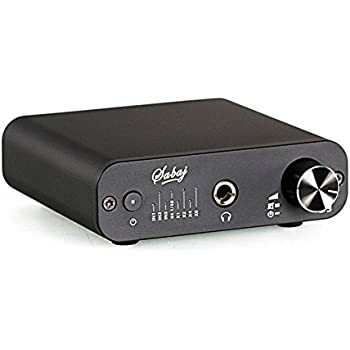 At 170.00 this audio engine once dialed in with my music player (foobar2000) is every bit as great sounding as either of those 2 decent sound cards there is absolutely no way I would ditch this for a MB slotted sound card. 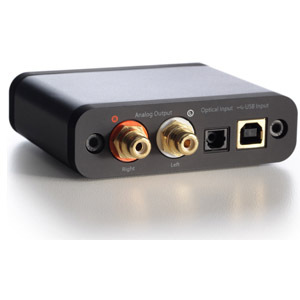 Plug and play no drivers no issues with hum, static from the MB or other internal components. Can move it to other devices, which I haven't tried yet. I don't have any headphones that are that great but a decent set and its up there with the quality of the ASUS ST ESSENCE. 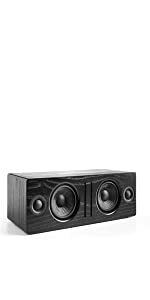 Again I am running this to a 400 amp from my desktop as the preamp with the audioengine, then out to a 2 way analog full stereo speaker set. I haven't tried the optic just the RCA. I wish there was a power switch on it. I just leave it on even when I power down the pc because pulling the USB chord in and out all the time will cause that to wear out, they are delicate and always break on me anyway. I also which the volume knob had a notch in it so you could tell where you are on volume. 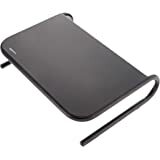 I can see where for some using a lap top it would be a issue that there is no power cord and it strictly uses the USB port for power, but this is a desktop. There simply is no comparison to the real tech sound card integrated in the Intel MB, I mean not even close to what this DAC will do for your system. I am on windows 10 and this is plug and play. It is recognized but check your sound settings, I have made it the default sound. There are some settings and DSP features if you right click on the icons properties in sound or volume mixer on windows. 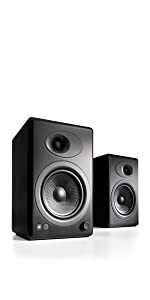 I have them off other then setting for full size speakers . I've used this heavy for about a month before I wrote this so time will tell but I think its a winner seems built well. 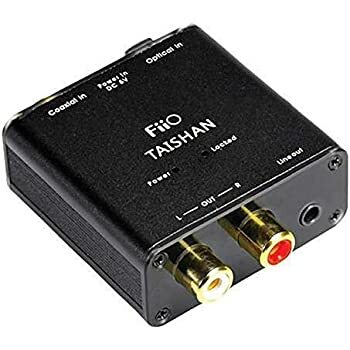 Great 2 way stereo DAC. 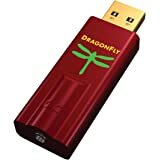 This audioengine DAC is very good, although there is no much difference when compared to the DragonFly which I also own. The reason, I am using this one is because of the volume control and the L+R RCA output. 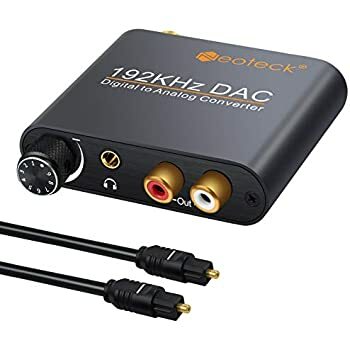 I am using this in my car with an android tablet (7.0 nougat), feeding the output of the DAC to the clarion Equalizer, and from the Equalizer to my amp. The construction is also very solid, I really like the design, the front of the DAC is very smooth and feels nice to the touch.